« Beekeeping in the South Tarn (part 3)–Honey potted! The weather has been difficult–either too cold or too wet–for local growers the last couple of months, reducing the availability of seasonal vegetables. 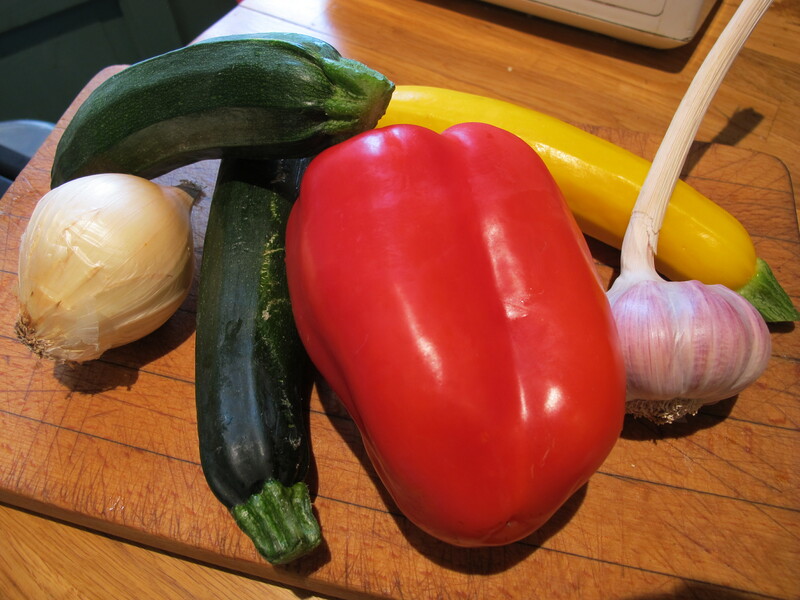 Looking for something to cook a couple of nights ago I found some courgettes and peppers from a trip to the supermarket and remembered a recipe inspired by Delia Smith and featured in my cookbook, Delicious Dishes for Diabetics. Delia calls it Roast Ratatouille and includes cherry tomatoes and aubergines [eggplant]–but a simpler version is worth a go, I thought…. 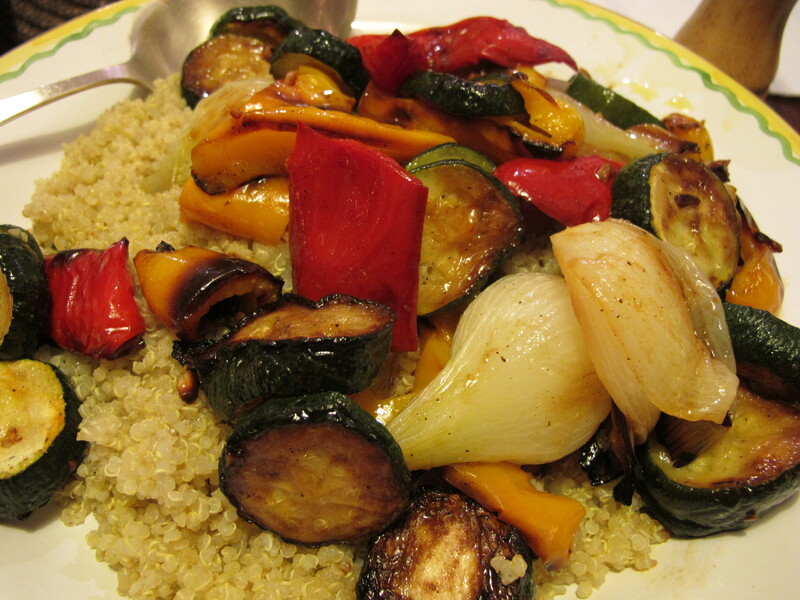 It was a tasty and healthy supper–served it on a bed of quinoa with a yogurt sauce. cut up the vegetables in largish chunks. Put them in a bowl, add the oil and sprinkle over the garlic. Turn everything over carefully to coat the vegetables with the oil. 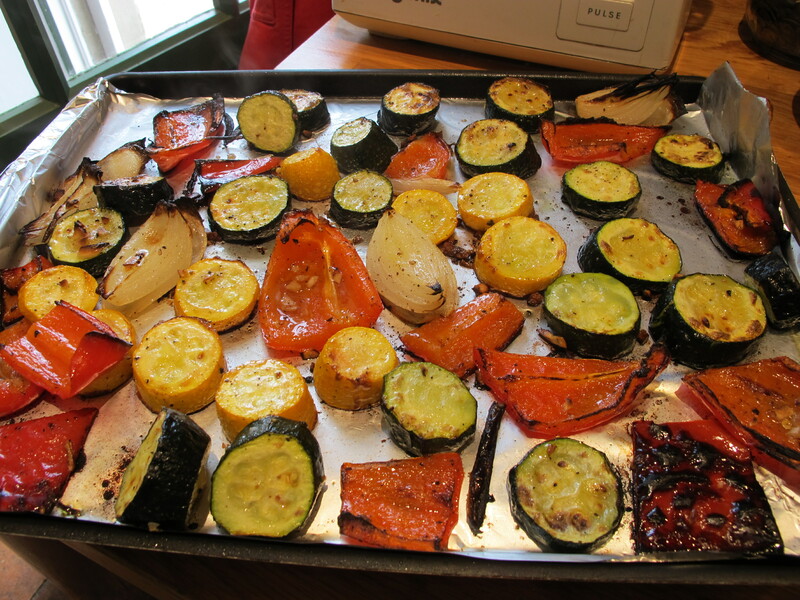 Line a shallow oven tray with foil. Brush the foil with olive oil. 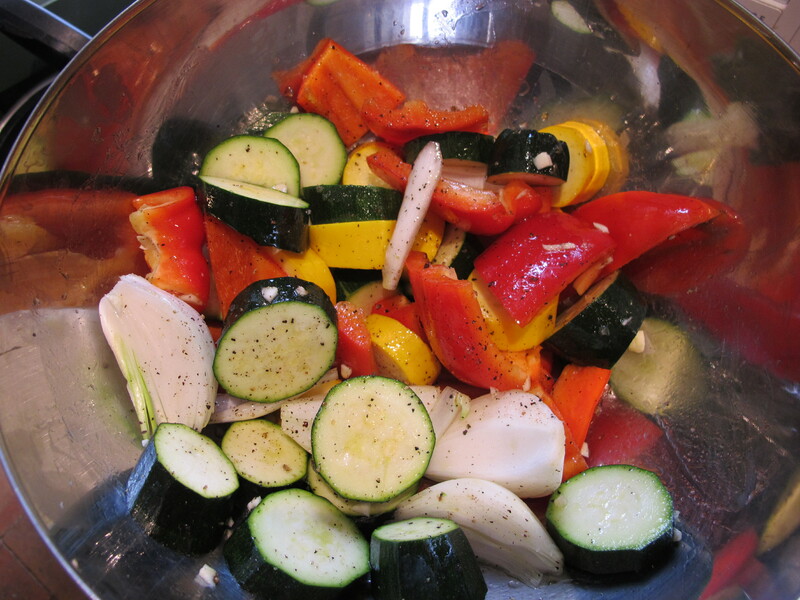 Empty the bowl onto the tray and spread the vegetables evenly over it. Put the tray on the top level of the oven. 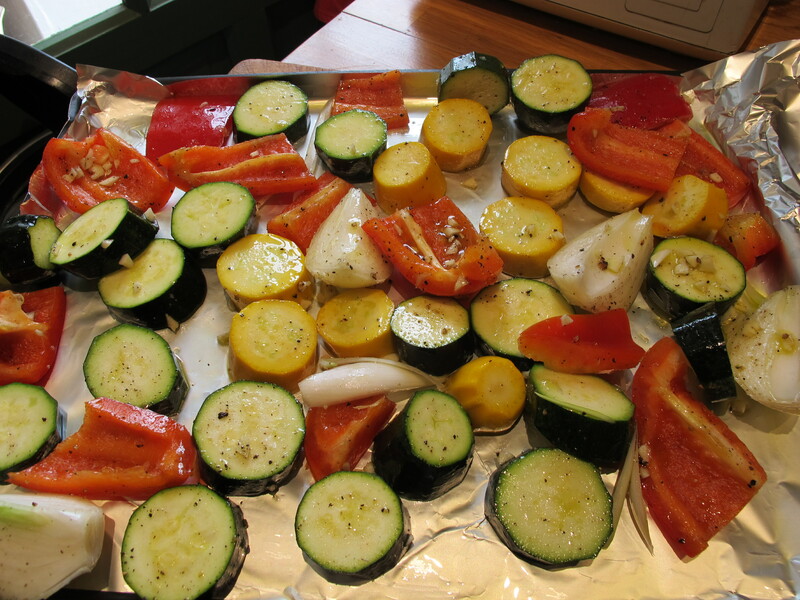 I do this on the grill…it is so yummy and healthy. At the very end of the process, right before taking the veggies off, I throw a handful of cherry tomatoes in until they are heated. They add a pop of color and sweetness. Far too hot to turn the oven on here unfortunately. 28C earlier. Looks savory. But where is the beef for a Memorial weekend ? Robin, I must say, that looks like a winner! Always interesting about your life in France, including weather, people, places… adds a nice touch to the delicious recipes. on May 28, 2012 at 3:43 pm | Reply Pat H.
Once agian your recipes do not fail me. Very simple but oh so tasty and healthy. I made peppered tuna with this and it was terrific. Cool and wet Oregon weather prevented us from BBQing this weekend but this was a quick and delectible substitute. Thanks for showcasing other cooks’ recipes but can’t wait for your next cookbook.